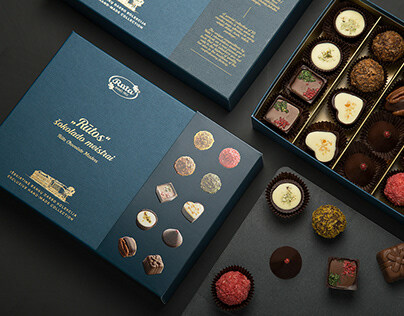 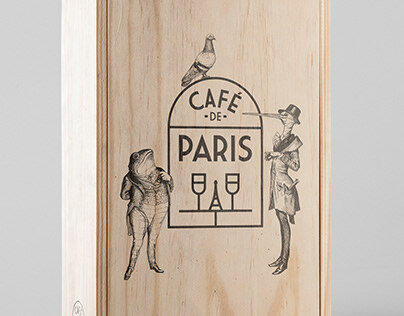 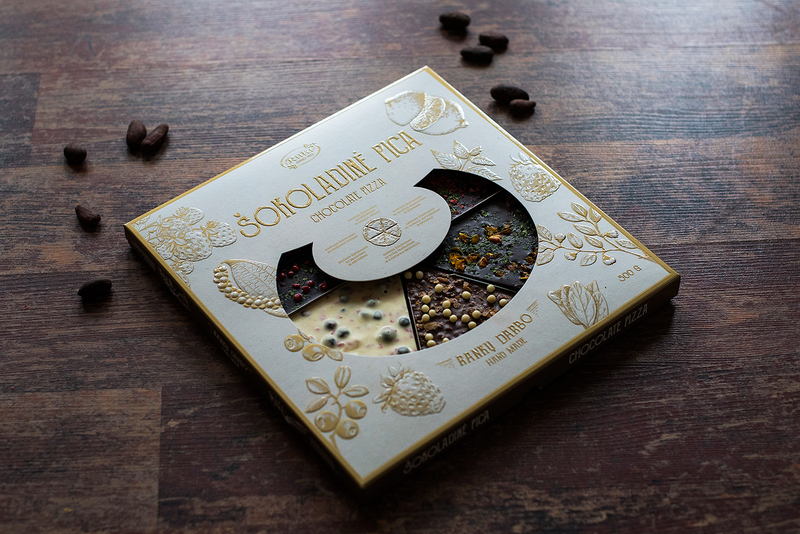 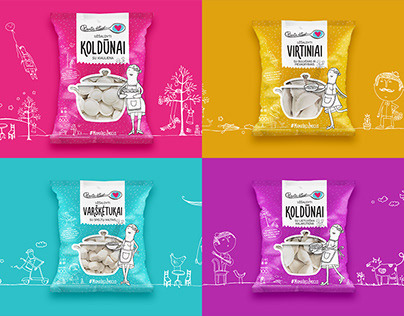 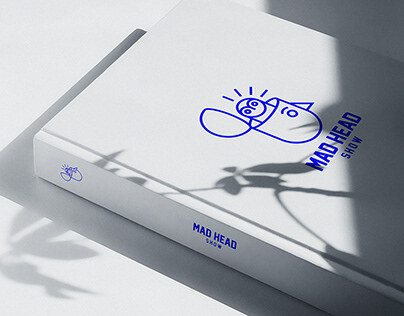 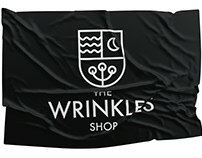 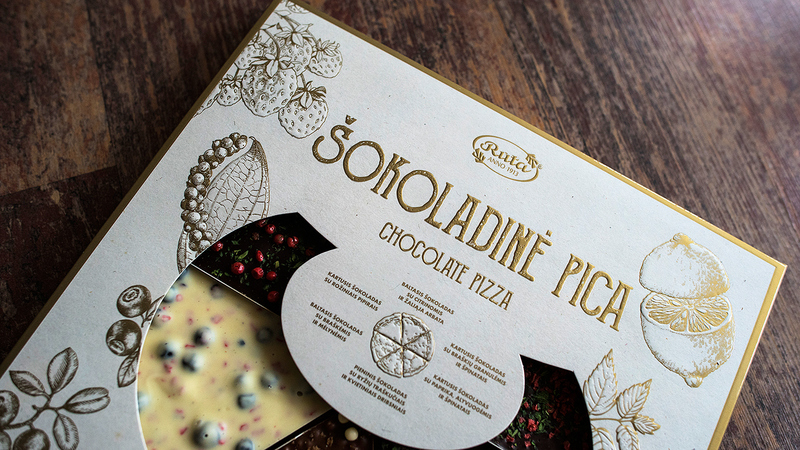 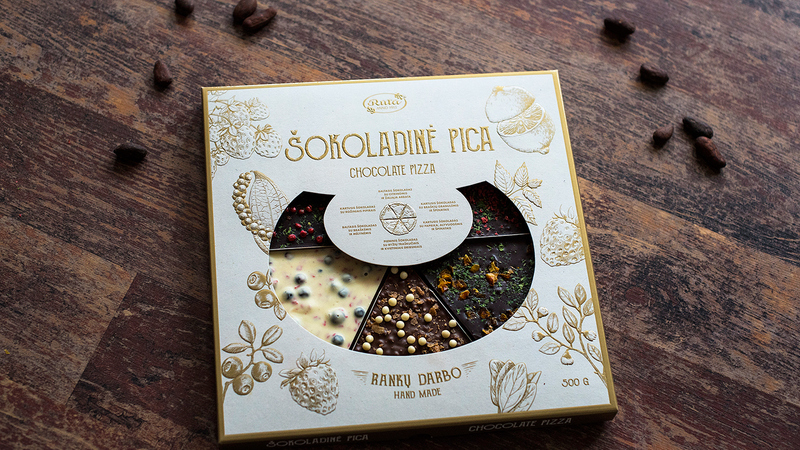 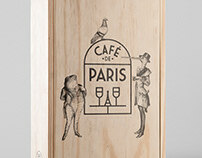 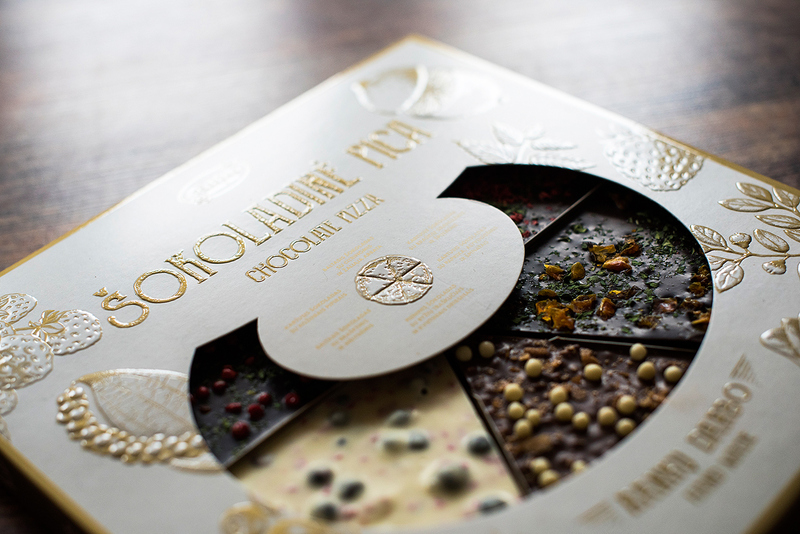 Hand made Chocolate Pizza packaging for old chocolate-making traditions having factory RŪTA based in Lithuania. 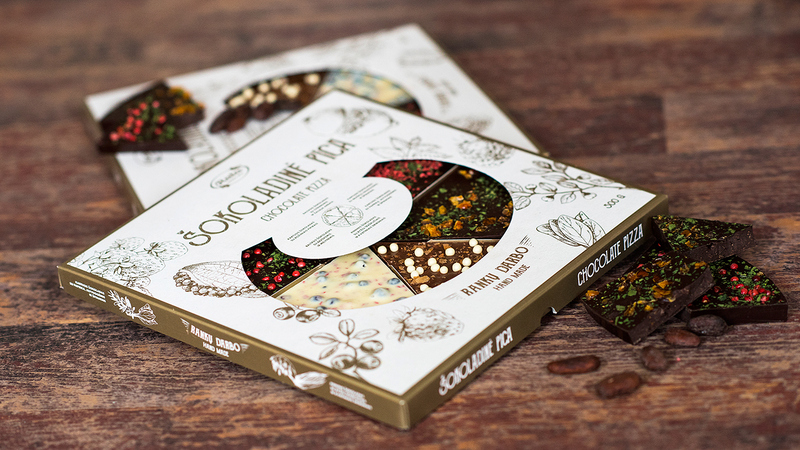 Thousands of years ago, the Mayans and the Aztecs would lace their chocolate drinks with pepper. 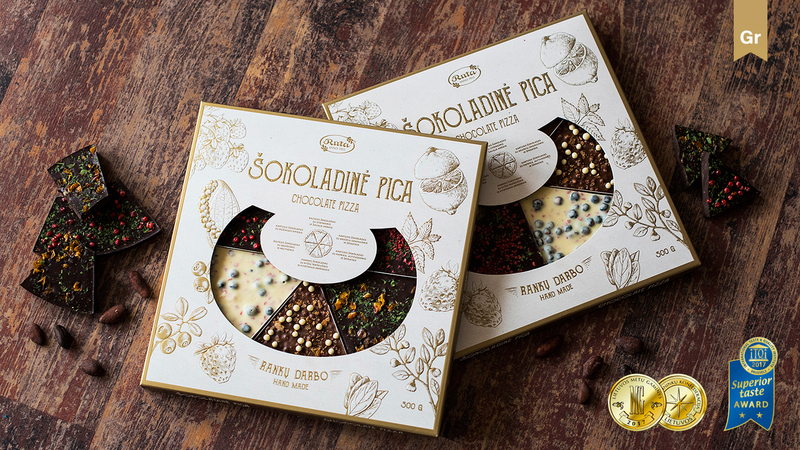 Nowadays, chocolate spiced with extraordinary ingredients is very popular with gourmets in Europe, South America, and the Far East. 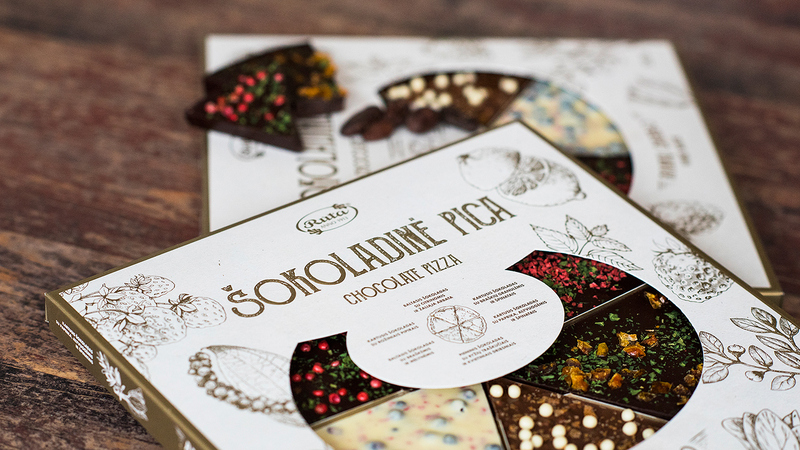 The most peculiar combinations, six flavours of Chocolate Pizza, fresh from Rūta’s chocolate makers.